The Louis Piana Cup is the first of a series of events incorporated into the Biscayne Bay regatta series, which is conveniently timed to coincide with our bitterly cold winters we have here in the UK. Two weeks ago, we had a training weekend in Cowes with temperatures close to that of a kitchen fridge, with hypothermia a real threat! This week, with long days expected on the water we will be battling keeping cool and hydrated in the Miami heat. Fortunately, we have two practice days to acclimatise before racing kicks off on Saturday 9th. This will be the first time the crew will have sailed an Etchells away from home waters in the Solent. With a number of offshore races including the recent Fastnet under their belt a new patch of water should do little to phase them. The boys have been working hard both on and off the water throughout the year. They sail dinghies weekly and have been reviewing training videos to maximise their learnings ahead of this major regatta. There will be around 50 boats on the start line this weekend sailed by teams decorated with World, Olympic and America’s cup success. This is one of the great aspects of the Etchells class is that you can race alongside these legends in a boat that is so evenly matched in-terms of speed. We are very fortunate to have been lent the boat “Strait Dealer” owned by Cowes Etchells Fleet extraordinaire David Franks, a man very much behind the Greig City Academy’s involvement in sailing. This weekend will be a milestone in the ongoing development of the GCA racing team. As the coach my objective is to maximise their learnings while keeping the racing and time on the water fun and enjoyable. During our autumn training weekends, the team has learnt how to perform each other’s roles on the boat, much to the amusement of the sailors. When sailing a small keelboat like an Etchells it’s important to understand not only your own role but also the roles of your crew. With this understanding they have learnt to be sympathetic to each other and have achieved well-oiled team work. 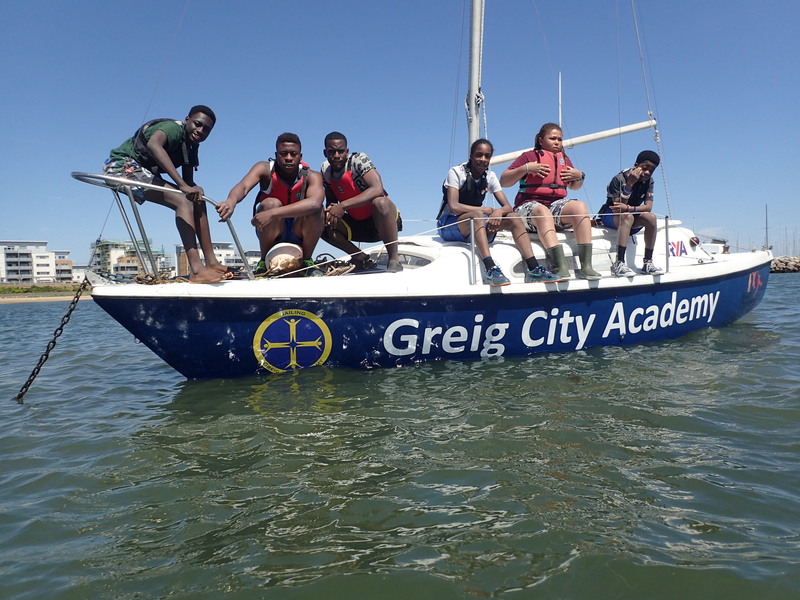 I am very much looking forward to this new chapter with the Greig City Academy who only a year ago had never heard of or seen an Etchells. The winds are looking fair, the days warm and the competition fierce. Stay tuned.